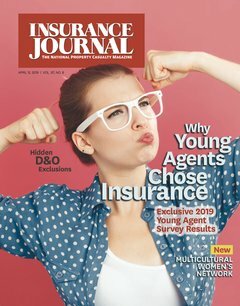 Insurance Journal, considered the most read national property and casualty publication for independent insurance agents and brokers, kicked off its legacy some time in 1923. While the exact date of the magazine's first issue remains a mystery, what the Insurance Journal has become is no secret. In 1936, during the Great Depression, Mark A. Wells Sr., then just 27 years old, purchased the magazine and immediately embarked on a top-to-bottom redesign. Following Mark A. Wells Sr.'s death in 1970, Mark Wells Jr. took over the magazine and remains its publisher today. Under his direction, the Insurance Journal has grown from a regional Southern California magazine with 4,000 readers to one of the most well respected insurance trade publications in the country with a bi-weekly circulation of more than 40,000 and readers in every state. InsuranceJournal.com was created in 1997 to provide regional, national and international news and information to the insurance industry. Re-launched in April 2000, InsuranceJournal.com uses its 80 years of insurance expertise to provide the industry real-time news and analysis. In addition, the site includes a number of tools for insurance agents and brokers around the world. Among them are directories detailing available excess & surplus lines markets, programs and workers' compensation markets. The site also features classified advertising, a news archive and dozens of audio and video interviews with industry leaders from across the world. The numbers speak for themselves - more than 250,000 insurance professionals read more than 1.5 million pages of Insurance Journal Online every month.